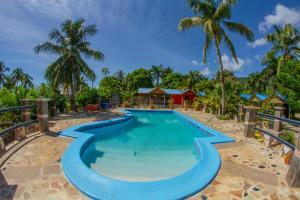 ﻿ Best Price on Ideal Villa Hotel in Port Au Prince + Reviews! Featuring an outdoor pool, a bar-restaurant and meeting facilities, the Ideal Villa Hotel is in the Pétionville district of Port-au-Prince. The rooms have free Wi-Fi access and cable TV. Each functional room at the Ideal Villa Hotel is decorated in warm tones. All rooms have a private bathroom with a shower. A free continental buffet breakfast is served daily at the Ideal Villa Hotel. BBQ facilities are also available on site. The property provides free parking. The Haitian National Theatre and Port-au-Prince International Airport are both within a 15-minute drive.